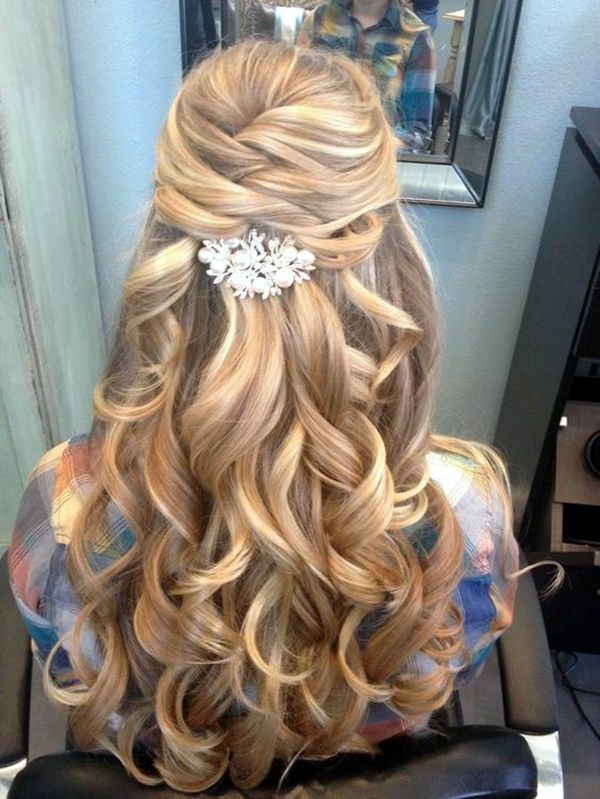 Curls are often considered the most suitable variant for a graduation event. First of all, waves can be both natural and man-made by means of hair irons. Secondly, this is a very practical hairdo that does not require a lot of work to create it, but the look that you will obtain during your graduation ceremony will be definitely the most adorable. And, besides, you cap won’t fall down that easily. Here is a more difficult option of the previous hairstyle that can be achieved with extra-long hair. 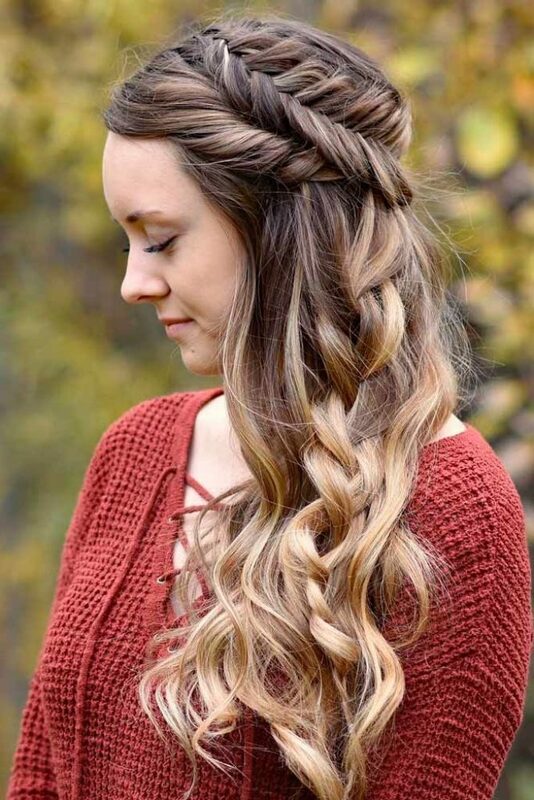 The hair is organized in several groups of locks and after that it is waved with a styler for creating fine flowing waves of hair which will astonish everybody around. The most important thing is to apply some good gel so that it could preserve the shape of your marvellous hairdo. This hairdo can proudly wear the title of a graduation queen’s hair design. It is a really luxurious hairdo that radiates with confidence, especially when it is performed in fine golden colour. 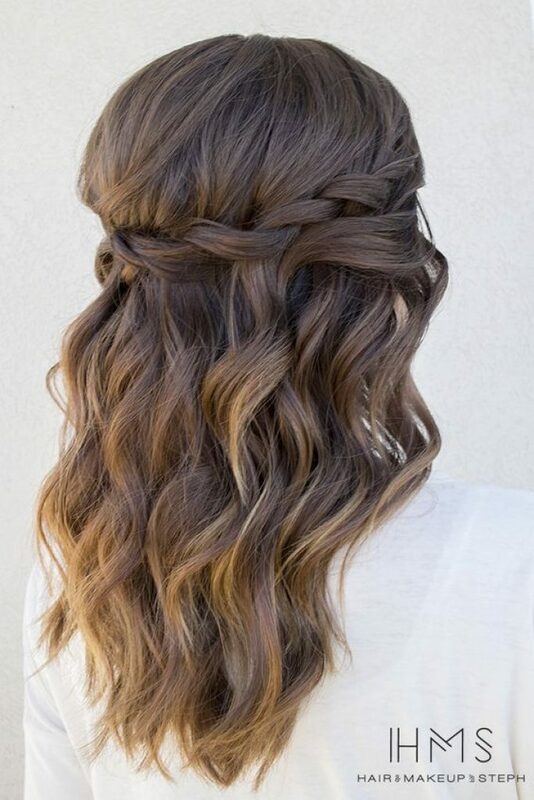 Those ladies who wish to look their best during the graduation should pay attention to this model look as with this fine wavy hair and an amazing layered top. If the length of your hair allows such manipulations, give it a try. Here we’ve got another fine example of top level celebrity inspired hairstyle. It is the best choice for those women who wish to demonstrate themselves during the graduation in the best light. 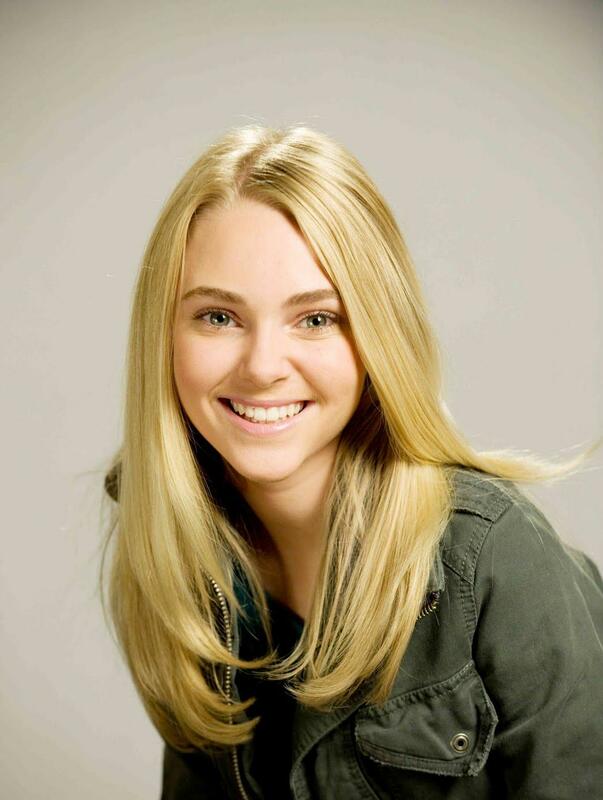 Although we can see a blond coloured model sample, it doesn’t mean that you can’t try it out. 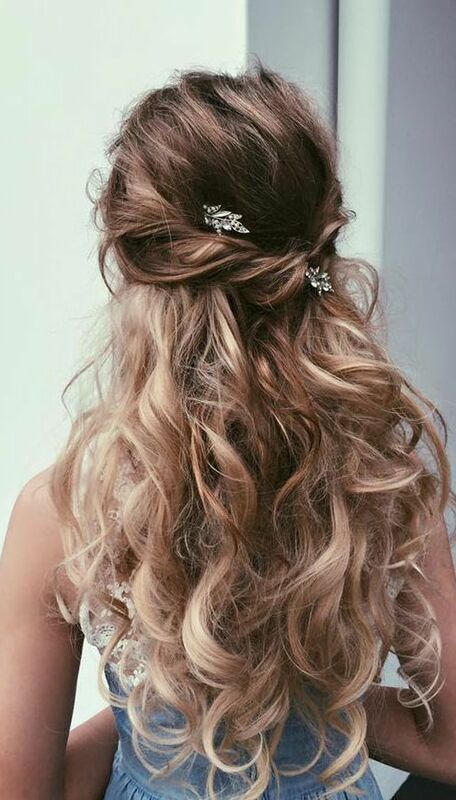 It will look equally awesome with another hair hue so that you could never forget your ceremony. The graduation ceremony is the moment when you’ve overcome all the difficulties of studying and finally received your diploma. It can be considered the happiest moment after you’ve received the letter of admission. 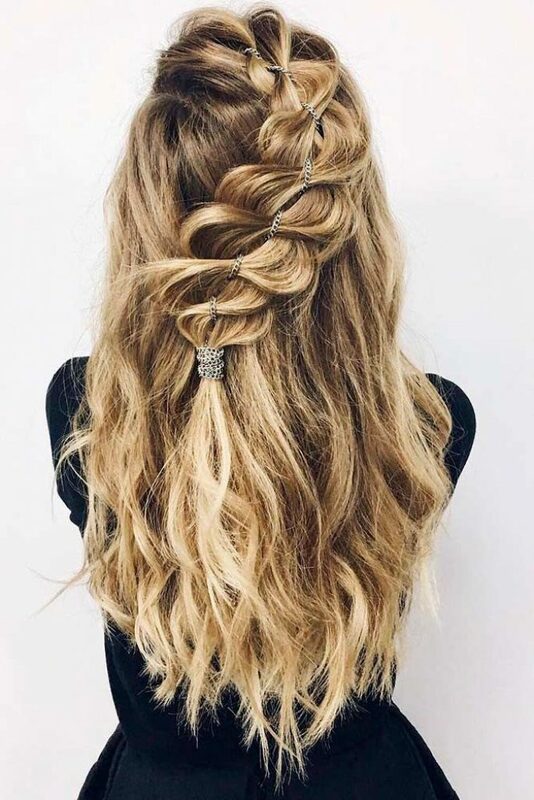 A decent hairdo is an important part of a graduate’s image, but in some cases there is not much that can be done with the hair and simple option can your best solution as waved hair is always in trend. An option with an ombre can also be acceptable for a graduation style hairdo. It would serve as a fine accent of your eyes and assist you to be the most beautiful graduate among all. This type of hairdos doesn’t require any serious manipulations with the strands. If you’ve were lucky to have already made a bright ombre, you are ready to go to your ceremony. Just let your hair flow freely under the hat. Bob hairstyles are awesome and cool in any situation. However, if you prefer avoiding standard looks during graduation, there is a very simple method to add some spice to your overall image. The method is called the asymmetry. Take a look at this cool bob with bangs of different length. It is really gorgeous and contemporary. It’s one of the best ways to look elegant and smart during the receiving of the diploma. 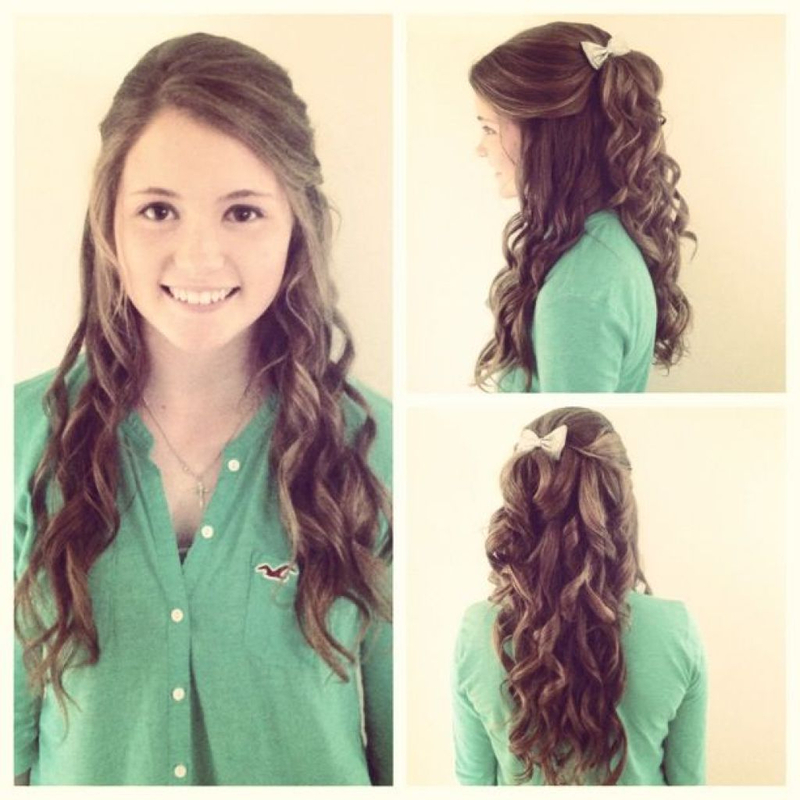 Here is a classic hairstyle of a brilliant lady student! It looks really smart, especially in combination with some glasses. It would be a very comfortable to wear hairdo during the graduation ceremony as it will feel very nice under the hat. The bangs, which were side swept behind the ears, will be firmly kept under the hat and stay in order until the moment of your final throwing of the hats. A curly hair is an excellent means to rock during your graduation ceremony. You can wear just anything you want as long as it is a scholar’s hat and a cape. 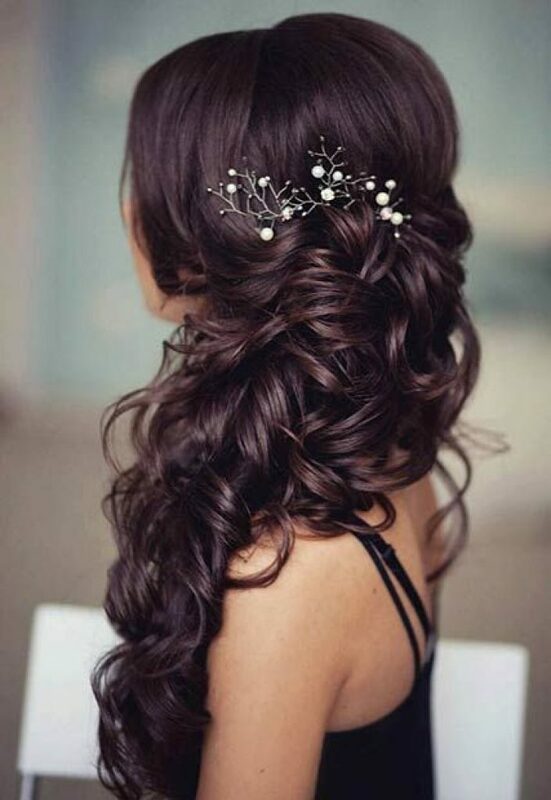 Fortunately, there are no restrictions regarding the hairdos, so you can go for a natural style. The curly waves are very comfortable to wear under the hat and look very smart for ladies of various complexions and face shapes. Tight waves can be rather tricky and troublesome as you prepare them with some irons or other hair structure damaging tools. Consider the variant with loose waved hair. They can be created by means of minimal temperature intrusion and will grant a charming and dreaming image of a girl who has finally achieved her goal. 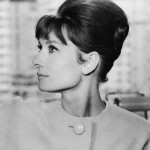 With this hair you will look simply chic and adorable. Are you the owner of straight hair? Well, you can definitely use the benefits of your natural gift. Just let them flow. Enjoy the long bob under the scholar’s hat and you can be pretty sure that there will be nobody as beautiful as you are. You don’t have to worry about what style you should use at the graduation ceremony. Mother Nature always knows best, so be natural! This elegant looking hairdo is, in fact, a very simple model that is used for balls, dances and parties. This is a smart choice of women who want a time saving hairdos that will look awesome. Just wash the hair and while it is still moistured, start twisting it and shaping. Use the invisible pins to get extra fixation. In combination with foam you will gain an ultimate effect. 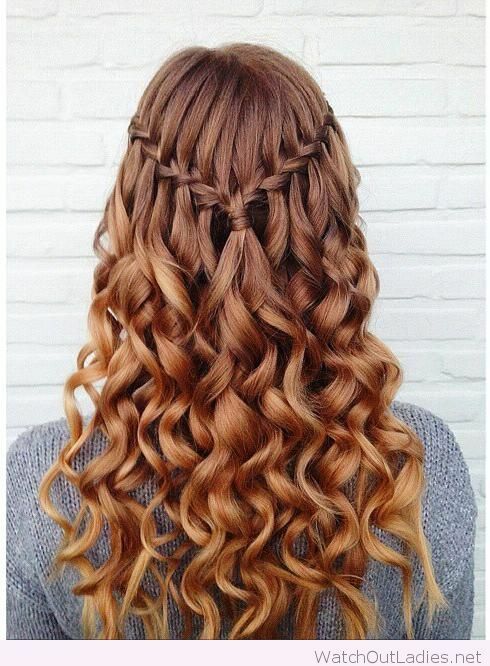 This hairdo requires from you only the curls of medium length. 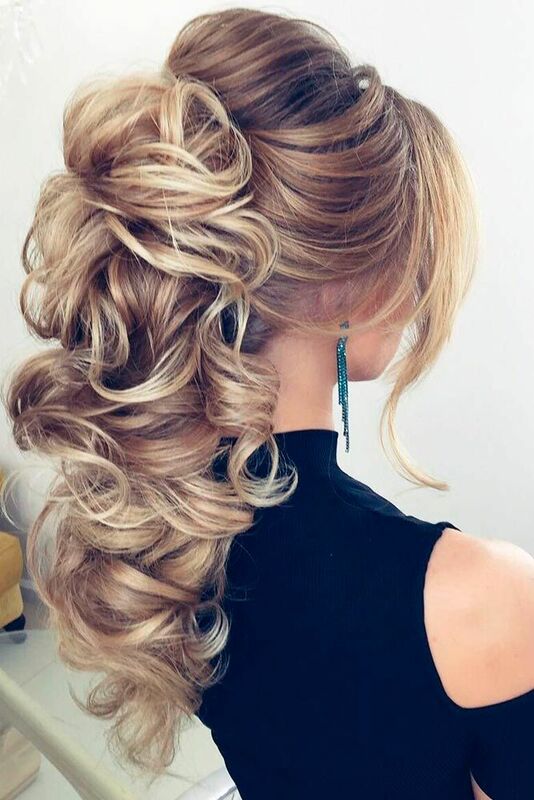 While you will undergo the procedure of styling do not squeeze the hair strands too much, if you want to obtain the curls of this type. They are light and bouncy and will preserve the graduate hat firmly on the head. You will have a fine aristocratic look of the lady who has just finished the institute for noble maidens. Slightly messy waves will contribute a lot to your style. The loose wavy hair will add you some irresistible charm. 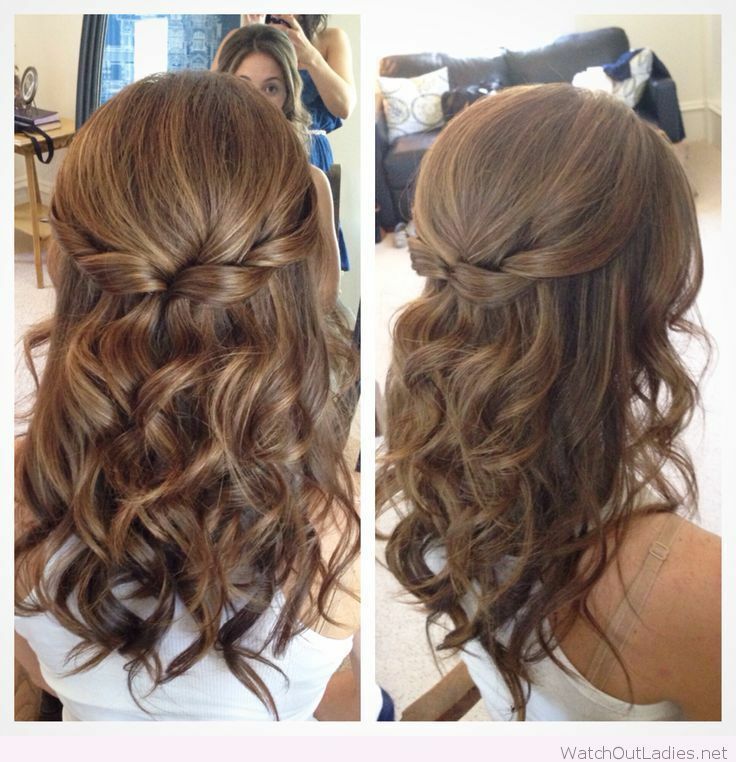 Moreover, the simplicity in creation and further maintenance are the decisive factors in favor of this hairdo. Just wash your hair and blow dry it – the hairdo is ready. It looks very organic and stylish with active and positive humored ladies. If you are a fan of unusual hairdos, have a look at this model. It offers a finely decorated contour of thing double crossed chain of hair strands that resembles a miniature tiara of some princess. The top of the head is a cool layered bob that would be perfect for positioning of the graduate head. Overall, this is a marvellous hairdo that will bring you plenty of positive memories in future. 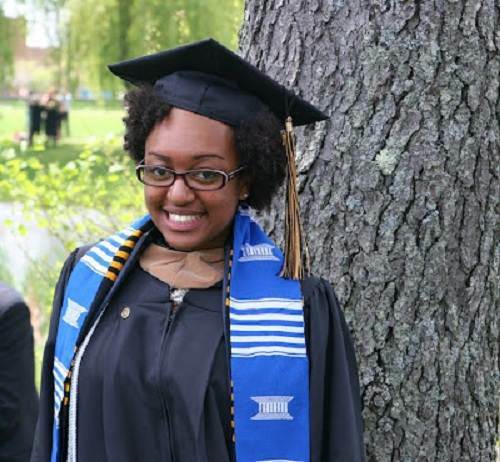 Do you want to create a perfect landing spot for your graduate hat and preserve the most beautiful look? Check out this hairdo. As might have guessed it utilizes a pair of styling methods: plaiting and waving. The front strands of the hair are plated all together to form a crown around the nape that would firmly accept the graduate hat. Below you can see a cascade of falling waves. 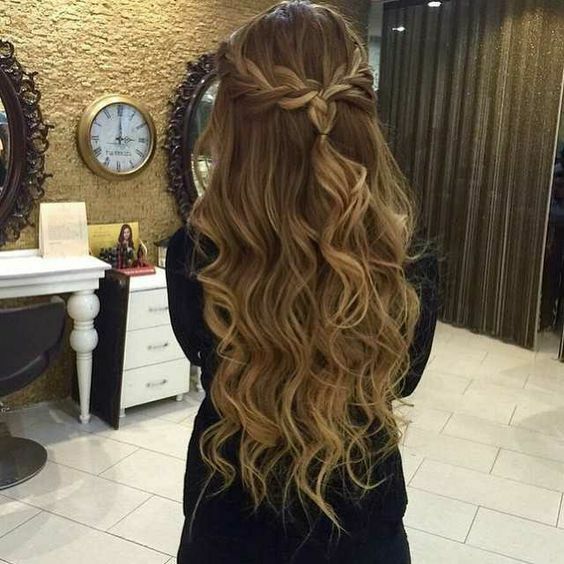 It’s just an amazing hairstyle. 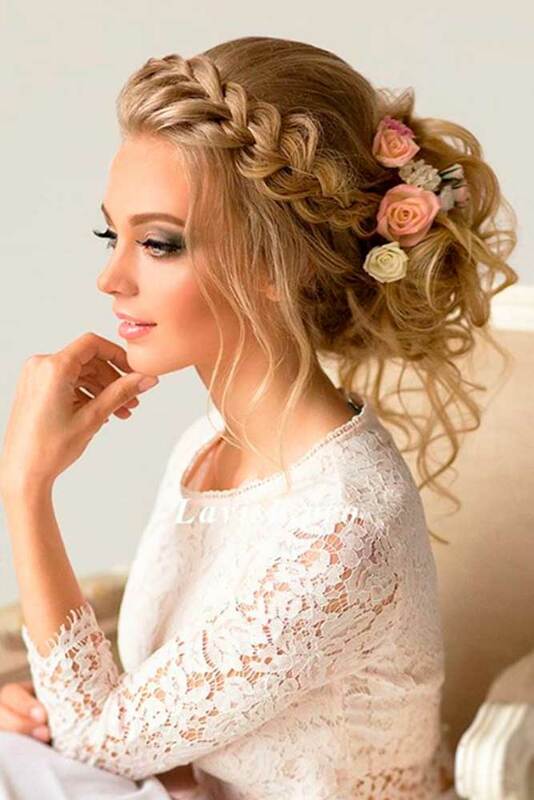 The retro hairstyles are back and they will be one of the best choices for the graduation celebration. 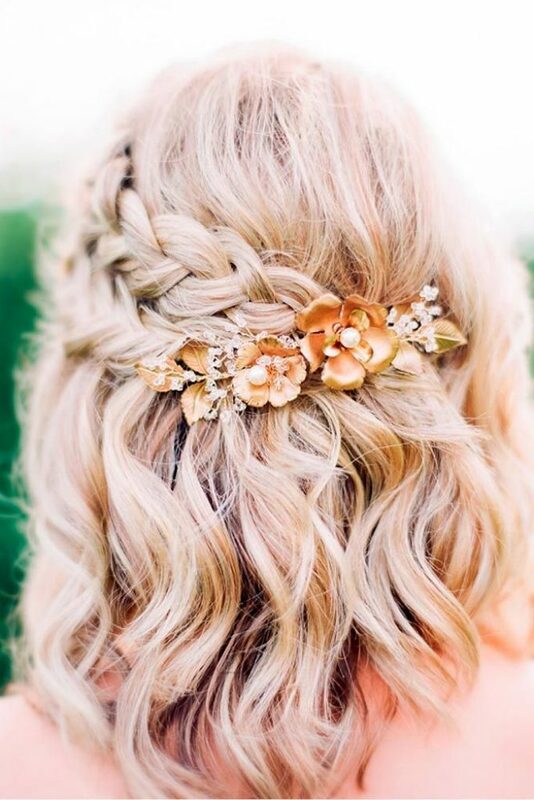 Here is a fine example of such a hairdo – half-pinned one-sided hairdo will look as good as gold during the whole celebration process. With such a hair you will definitely resemble a goddess that walks among the mortals. 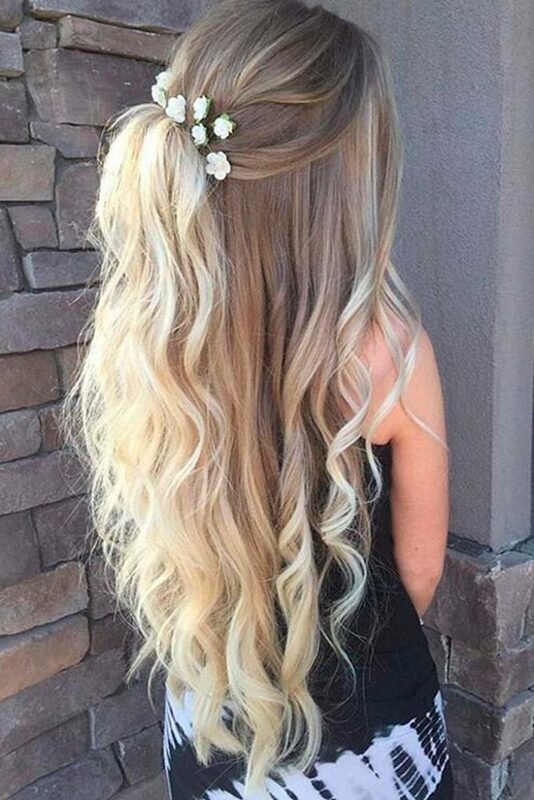 If you have lengthy hair, you can experiment with various textures and lengths. 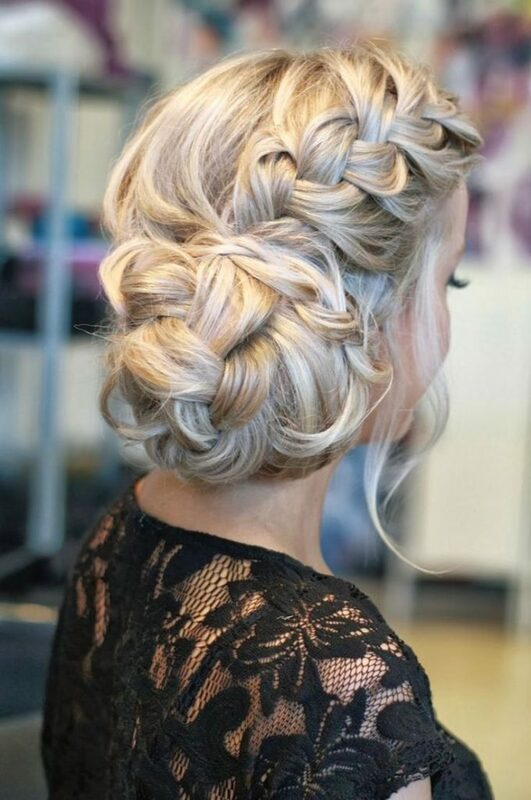 The updos are the best options for the cutest look for the graduate ceremonies. It will look equally great with both an evening dress and the robe of a graduate. Certainly you will need some time to prepare this hairdo, but this is your graduate and if you want to look the best during this festive day, some time should be sacrificed to achieve the most appropriate look. In case you’ve got long hair, you can apply the plating techniques to your graduate costume set. The thick fish braid of this type will be very comfortable to wear beneath the hat and you can forget about fixing your hairdo every time you will take of the hat. 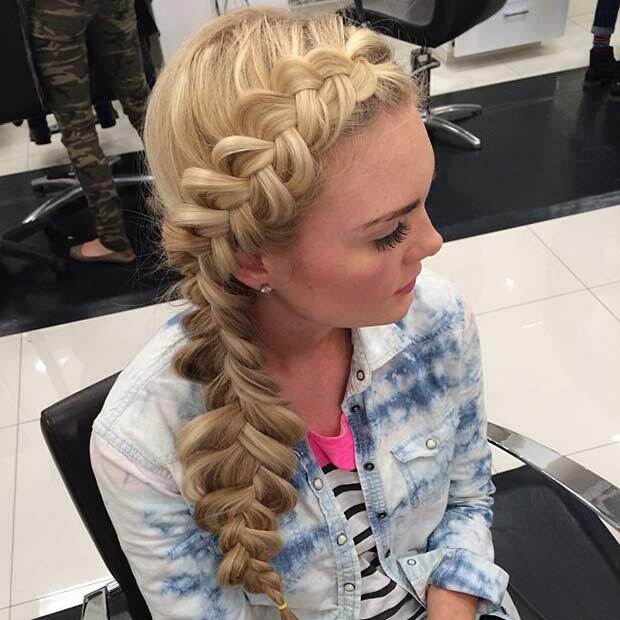 This method of plaiting is one of the easiest and the simplest ones, yet the effect that it produces is awesome.